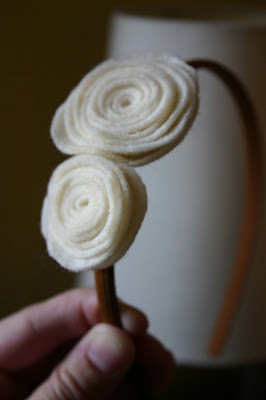 make more of these precious felt flowers. 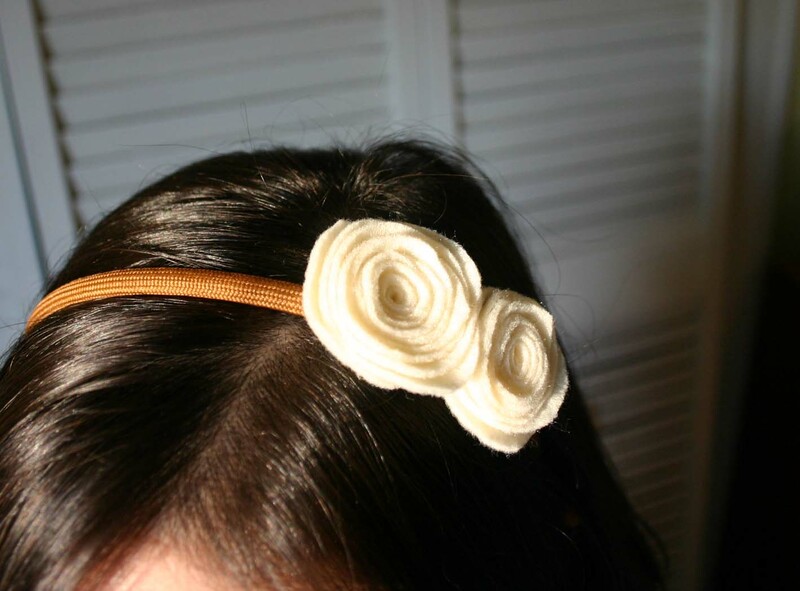 so I took a simple headband and attached it. just stick them on a headband. Boom. 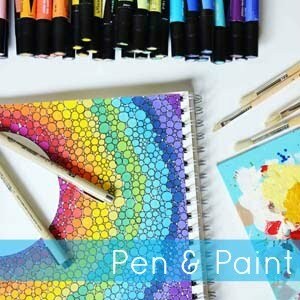 Easiest tutorial I ever did. I will let you have one of these. 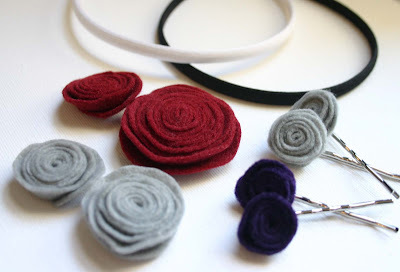 and a set of felt flower bobby pin clip-things. I will pick two winners - one gets the black head band and the other gets the white one.